Four cylinder front wheel drive automatic 91,000 miles. The radio and clock went off at the same while driving. The emergency flashers, cigarette lighter and cell phone outlet now do not work either. The air circulation fan, the switch is just below the radio, continues to work. I have checked the fuses under the hood according to the owners manual; they all appear continuous. My Haynes Repair Manual says there is another fuse box located at the left end of the instrument cluster, but the only thing I find is a flip out storage box there. What am I missing? Also, could a cheap cell phone charger have caused this problem? This occurred after my daughter's eBay purchased charger was used in the cigarette lighter. She says the same thing happened to her Subaru after she used the charger. I have problem finding the fuse box on same car 2002 Corolla. I took out the storage compartment beside steering wheel and it looks like it was removed because I cannot see it. Any ideas please? 2002 Corolla inside fuse box location Left of steering wheel, behind "storage only"
Radio fuse is - Fuse #31, right side, third fuse down. It is a Type "A" fuse - controls radio, clock, cigarette lighter. Under the dash in instrument panel junction box on driver side. Fuse is good but still not working. 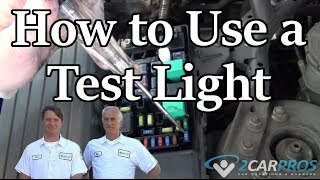 First check with a test light that you have power going into the fuse and out the fuse. Sometimes the fuse can look okay but still be blown. Let me know what you find. 1989 Corolla wagon 1.6 liter, two barrel carburetor. The radio, clock and overhead lights stopped working. Fuse is good. What else could cause this problem? Did you check the dome fuse in under-hood fuse box? After your reply, I checked the fuse you mentioned in your response and it was blown. Thanks! I replaced it with a 7.5 A and the lights and "radio" are working. I will get some 10 Amp fuses later. Glad to know you have fixed the problem. Where is the fuses for a 2002 corolla windshield wipers located? The fuse for the wipers is (Fuse # 4 under dash) Here is a guide to help you check for power and the fuse locations below. Open drivers door, fuse panel is behind panel near the door hinges. Dash lighting, cigarette lighter, license plate lighting, tail lights all of a sudden no longer work, but where is fuse for all that located? Had one light on dash lighting go out years ago and have been fine without it. Have a Haynes repair manual which doesn't seem to help much with this problem. It is located behind the left side of dash at lower finish panel. I attached a schematic. Please note, the power to this fuse box comes from a main fuse box under the hood. Thank you, I had already found that after asking the question. Saw all the fuses and not sure which one is causing my problem, will disconnect battery and start pulling them tomorrow. Check the bottom section of the schematic. If I recall, all the things you mentioned are listed on the circuit all the way to the right. Tail fuse is in instrument panel junction box, behind left side of dash, at lower finish panel. where the fuse is located. "Fuel pump Fuse"
- "Fuse of the Fuel Pump"
Most high draw devices use a fuse and relay, like fuel pump. They are generally located in engine compartment fuse/relay box. The dealer or trusted garage can test the fuel pump using the diagnostic link in cabin. Also check your owners manual. I Have A 1992 Toyota Corolla Le And Im Trying To Find A Certain Relay And Fuse. May I Get The Diagram For Fuses & Relay Locations. Thanks.